With the Braves having such a deep system centered around pitching, it is somewhat easy to forget that the young arm with potentially the highest ceiling of them all is already in Atlanta. Mike Foltynewicz has some of the best natural stuff the Braves have had on their roster in years. If the Braves do end up competing this season, I would guess that would coincide with Foltynewicz having a breakout season. In taking a glance on his performance last season compared to the season prior, he improved in all of the areas you would want to see a young starter improve. His walk rate was down, his strikeout rate was up, and he gave up fewer home runs. The home runs are still a substantial issue with him, but he still dropped his HR/9 from 1.77 to 1.31. Below is Foltynewicz’s pitch frequency last season. Understandably, Foltynewicz has been reliant on his fastball in the past. He throws it in the mid-nineties on average and hit as high as 99.8 miles per hour last season. It is a positive, in my opinion, to see a young starter with tremendous stuff begin to be able to rely on his secondary offerings more frequently. To see him drop from 71.2% to 62.7% in overall fastball rate is a good sign, especially when you consider the above mentioned improvements in strikeout, walk, and home run rate. The best secondary pitch for Foltynewicz was his slider. To give an understanding on how much the pitch improved, in 2015 hitters had a 205 wRC+ against Foltyenwicz’s slider and last year they were only able to muster a 75 wRC+ against the pitch. He was not actually throwing the pitch in the zone more frequently (52.3% in 2015 and 47.7% in 2016), but he was getting hitters to chase the slider outside of the zone more often (32.6% in 2015 and 37.3% in 2016). This is exactly what you want from a slider. It is beginning to turn into an out pitch, and it is one reason that he threw it much more frequently last year compared to the year prior. In terms of raw numbers, he used the slider to strike out 33 of the 111 batters he struck out last season. So, 30% of his strikeouts were from a pitch he utilized only 21% of the time. 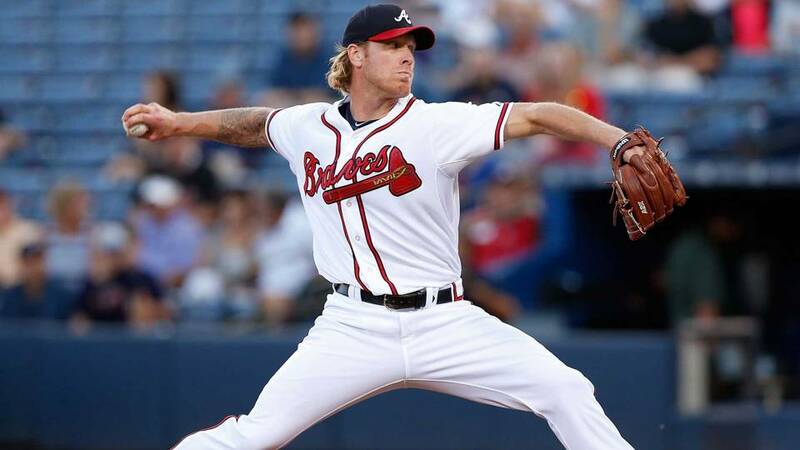 If Foltynewicz continues to make positive strides overall, I suspect he will continue to make strides with his slider. This is a logical development for a pitcher with a great fastball, and in time his improvements with his slider may make his fastball more effective due to hitters becoming more and more concerned about the breaking ball. The other pitch with a big increase in utilization was the changeup. His changeup has a solid 10 mile per hour gap between his fast ball velocity, and it went from being a borderline droppable pitch to an asset last season. He had a 22% swinging strike rate with the changeup and allowed only a 100 wRC+ compared to a 206 mark in his first season with the Braves. I am curious to see what Foltynewicz is working on specifically this season, but his slider and changeup moving in this direction are positive signs for his overall development as a pitcher. Chuck Hernandez’s main role this year will be in helping develop Foltynewicz, as the majority of the starting staff and bullpen are veterans. In order for Foltynewicz to reach that next level, he needs these two pitches to be reliable out making pitches so that hitters cannot wait on his fastball as they have in the past. His four seam fastball was his worst pitch based on wRC+. The fact that Foltynewicz was able to put together a 21.1% strikeout rate with his fastball being ineffective and him only just beginning to trust his slider and changeup is a testament to his natural ability. With more development, it is a real possibility that he can turn into a front line starter over the next few seasons.